Glamorous camping comes in a variety of flavors, from cabins and Airstreams to yurts and covered wagons. And motorcycling generally means you’ll need everything when you get there. A couple has very limited storage on a bike and why she needs all of it, I don’t debate. Alas, glamping and Thousand Trails Idyllwild gets everything right. Nestled high atop Mt. 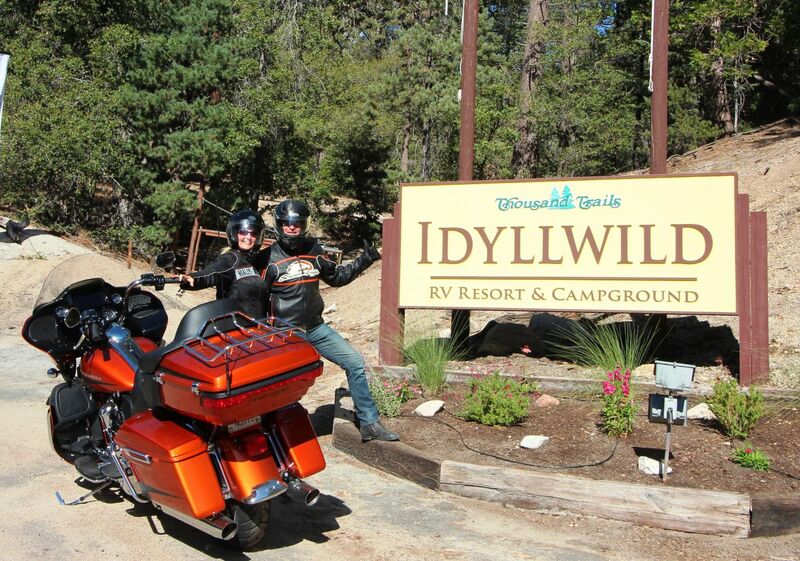 San Jacinto, Idyllwild is a little more than two hours away from Los Angeles or San Diego. This peaceful paradise is a happy-camper playground, no cheesy tourist attractions to bring throngs of selfie-indulgent visitors. There are no ski lifts, no Holiday Inns, Carl’s Jr. or even Starbucks. No reason for thousands of tourists to clog the miles of magnificent mountain roads. Tourist T-shirts and hokey snow globes just don’t exist here and that’s the way we riders like it. It’s the perfect destination to let the high RPM of city stress unwind and just idle a while. We took this trip on the 2019 Harley-Davidson Road Glide Ultra. 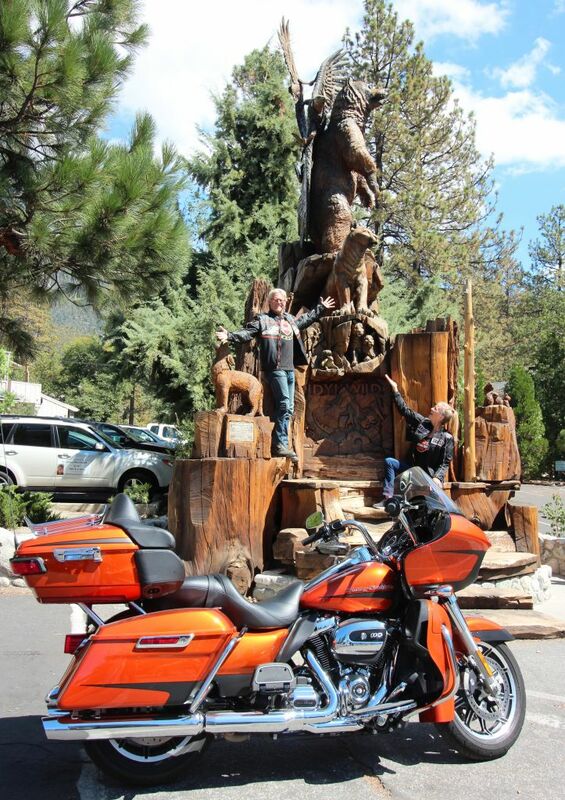 Powering the Road Glide Ultra is H-D’s powerful 114ci V-twin, producing a claimed 123 ft. /lbs. of torque at a low 3000 rpm. One twist of the grip and you’ll immediately feel all that classic V-twin torque virtually anywhere in the rev-range. Thanks to the smooth fueling and flat torque curve, it’s a motor that virtually anyone can explore and get the most out of. Fully laden with passenger and luggage, the 114ci powered up the steep Idyllwild mountain roads with ease. In fact The Milwaukee-Eight 114 engine is standard on all touring models in 2019. 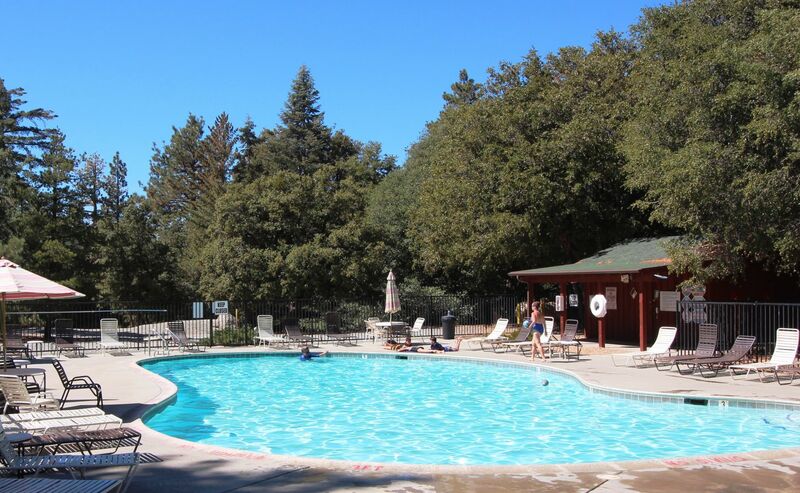 Thousand Trails and its partner brand Encore RV Resorts together have over 190 locations nationally and Idyllwild is part of the Thousand Trails Campground network of 81 locations in popular camping destinations throughout the United States and British Columbia, Canada. 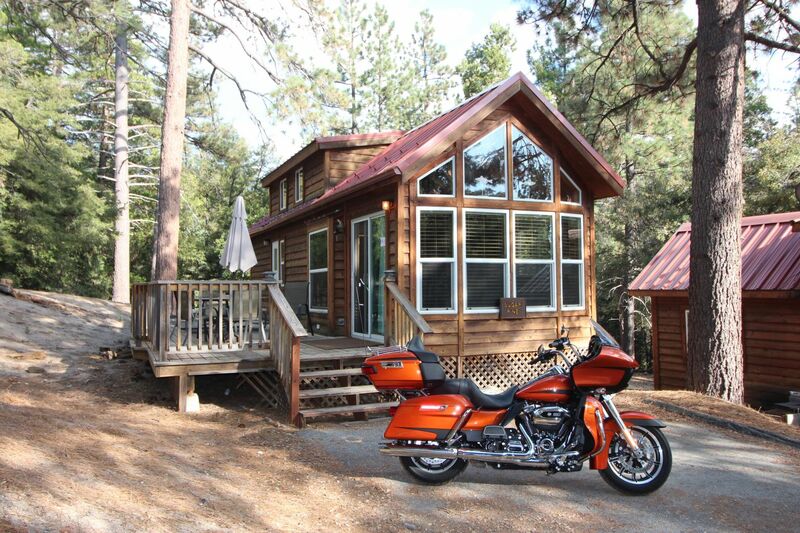 We rolled into the expansive 200- acre park and put the kickstand down at our spacious cabin. With 15 cottages and cabins available and 300 RV and tent sites, they have something for everyone. Nestled in a pine scented forest filled with flora and fauna, it’s truly a breathtaking mountaintop experience. With a spacious swimming pool, fishing pond, hiking trails, horseback riding, basketball, volleyball, shuffleboard, a pool table and video games in the clubhouse, there’s activities galore. We settled in to our cozy cabin, fully equipped with a wide array of amenities, and cooled off with a swim. Then, in no time we were off to explore the highlights of the quaint little town. 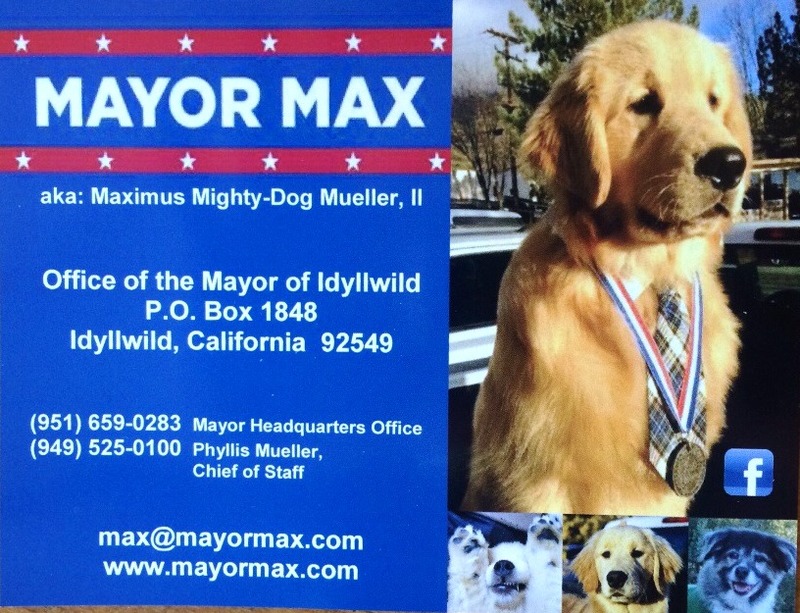 Idyllwild is unincorporated, and its first Mayor was Maximus Mighty-Dog Muller, a Labrador retriever. Max has since passed and deputy mayor “Mikey” has stepped into the Mayor’s office. 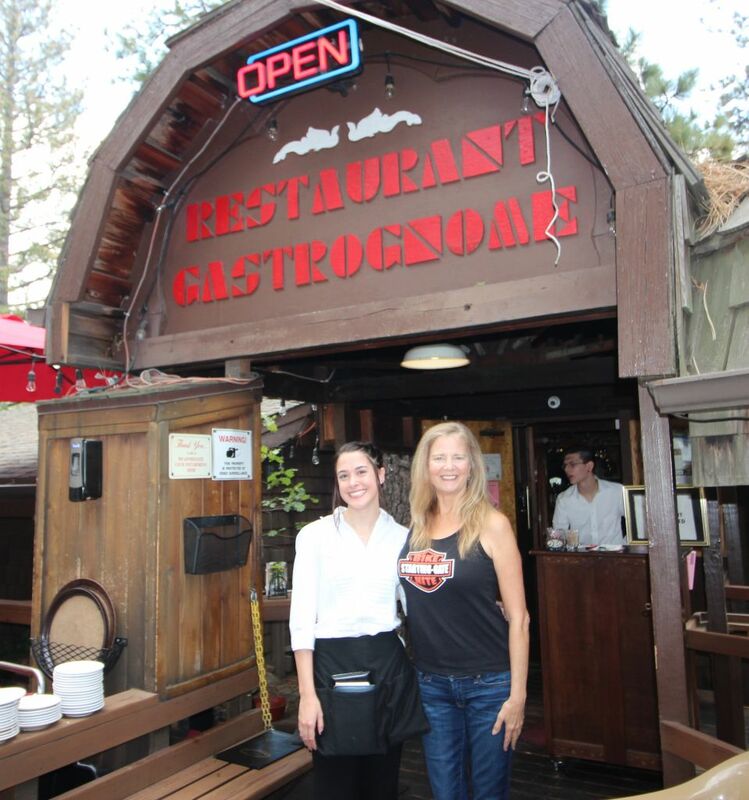 An artsy town with an eclectic mix of food, music and entertainment, Idyllwild has 15 restaurants, amazing gift shops, a chocolatier, a movie theater and the most amazing town’s people, always happy to stop, chat and share the town news. 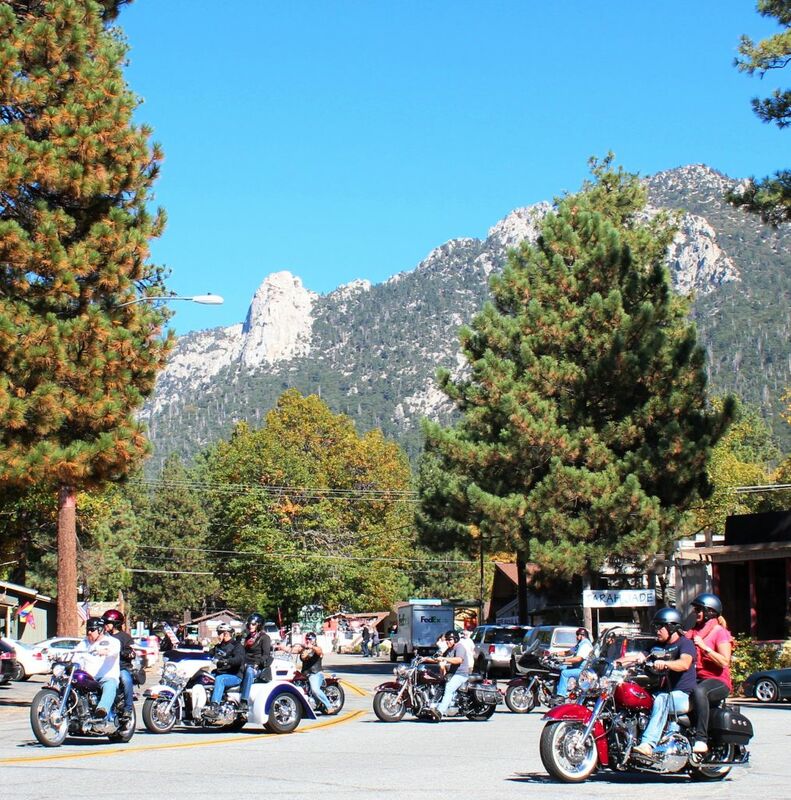 It’s a great getaway from the fast lane of city life, where you can relax and just ‘idle-a-while.’ Check out the Idyllwild website below for events, their famous jazz and art festivals that bring thousands of fans from all over the state. Always on the hunt for our favorite ‘go-to’ restaurant we typically scrutinize menus. The Gastronome (The Gnome) had everything we were looking for, plus a special surprise! Our lovely waitress, Cheyenne, graciously explained the menu details. The ever-inquisitive journalists we are, we asked Cheyenne about the town and the recent fire that came perilously close to destroying the Idyllwild village wonderland. It turned out she was the first responder to call he fire department. Heading to work that fateful day, she saw the blaze in its infancy, and made the first call. Our hats off to the brave and selfless firefighters that saved Idyllwild! The Gastronome became our haunt for lunch. My favorite dish was the vegetable quiche, replete with sun dried tomatoes and a tasty array of vegetables and herbs. It was accompanied with a side salad and fruit — the perfect mid-day meal. Christina had the most amazing turkey-cranberry salad and a healthy side of gluten-free bread. On our three-day stay we sampled Café Aroma, a local legend which offers live music Saturday and Sunday. 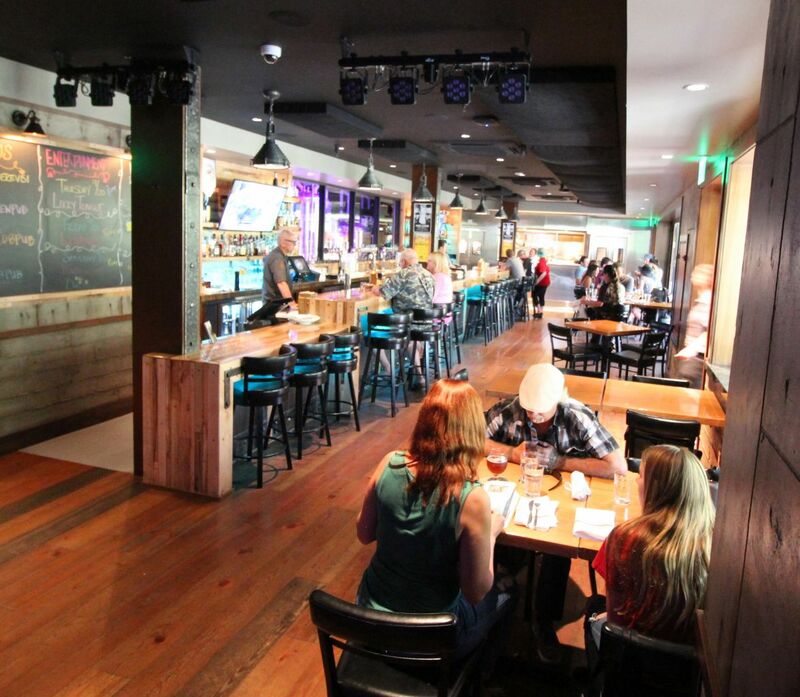 Ferro, a modern Italian Osteria, has an outdoor brick fire pizza oven, a generous outdoor patio with a stage and live music on weekends The new Idyllwild Brewpub is without a doubt a party place with stage and outdoor seating. In fact, the entire town seemed to be brimming with art and entertainment. Back at Thousand Trails, we savored the fresh mountain air and hiking the trails that offer spectacular vistas. Our kitchen was fully equipped with all the pots, dishes and everything needed for cooking a full meal. The bed was super comfy, and we totally felt at home. This is sure to become a repeat visit. Avid travelers, we were surprised to learn that Thousand Trails offers customers the best value in camping with a variety of membership options. Each Thousand Trails campground caters to members and non-members alike, so you do not need to be a member to enjoy these amazing campgrounds. 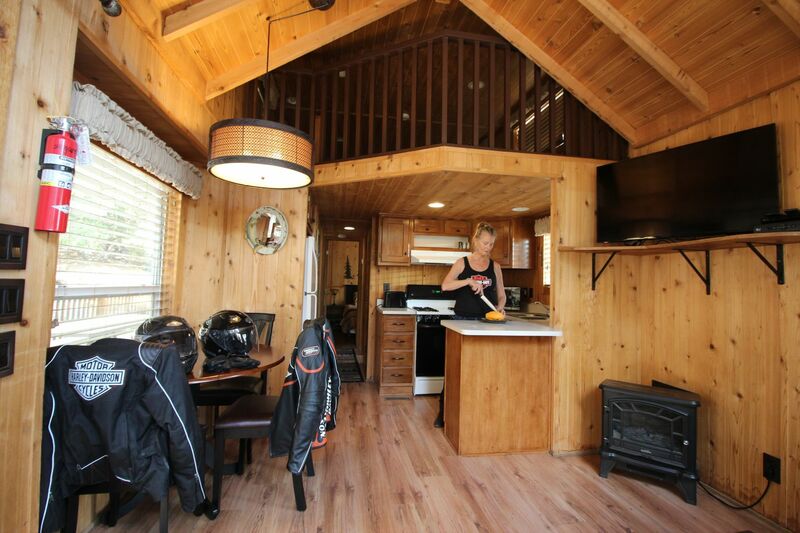 On two, four or more wheels, the wide variety of resorts and campgrounds and glamping options today are abundant. We’re off to Thousand Trails’ Rancho Oso in Santa Barbara, see ya there!